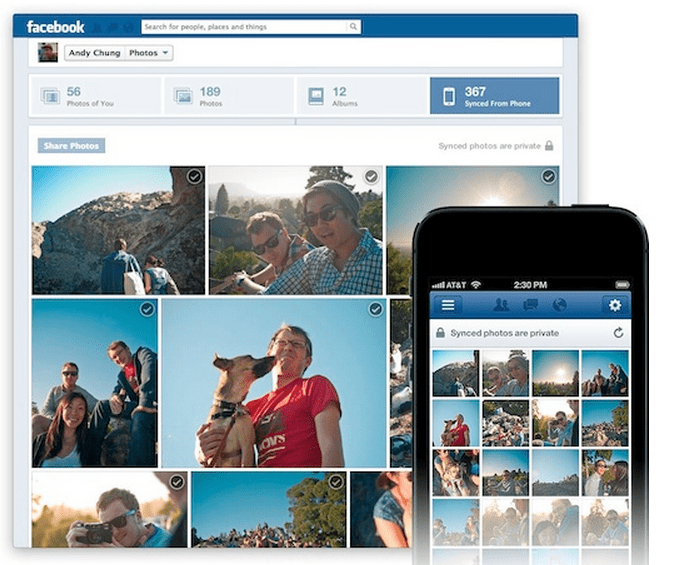 Following the idea of large firms that opt for synchronizing your files in the cloud, such as Dropbox, Facebook has enabled an option to automatically sync the photos you take with your iPhone. With this new tool, Facebook will handle up to a private folder all new photos that we keep the iPhone on the albums. Only compatible with iOS 6. Once synchronized our photos, have the option to move to any other album to share with people we like. Currently the system is only available for testing and a small group of users. To activate it you have to go to the 'Photos' (in the left menu, where it says Apps) and pressure on the 'Synchronize'. If you still do not see the option 'Synchronize', it means that you are not among the first group of users from which the service is enabled. Article Facebook begins to enable automatic sync photo was originally posted in News iPhone .